TIP GARDEN: 7 Items to create a "Soup Pantry"
7 Items to create a "Soup Pantry"
We've all been there, you see a great recipe on Pinterest, or one of those great facebook videos and suddenly you want to make it, but by the time you get all the ingredients together on your next shopping trip, you've lost your momentum, or forgotten about it! Whether you want to try a new recipe or just whip together a quick new version of a classic soup, keeping ingredients on hand to throw together soups fast enough for a weeknight meal, only requires keeping a few key ingredients on hand, so you have some flexibility for quick meals. Some of these ingredients might surprise you, some will not, but may be worth checking your pantry, fridge, or freezer for supplies and stock up. These are meant to help you pull soups together in just mere minutes, but with that yummy slow cooked taste! 1. Wonton Skins: Look for these in your produce section. Using your pizza cutter, cut these into thin strips for noodles and drop them into simmering broth. In just a mere minute or two you'll have noodles! (way faster than cooking up dry pasta). 2. Short-cut Instant Meatballs: Use Italian Sausages or Brats and cut open the casings. roll the meat into small balls for fast meatballs, already seasoned and ready to go. You can quickly skillet cook them while starting rest of soup and then add to soup to simmer for a few minutes to finish cooking. 3)Tiny Pastas: Using Orzo or acini di pepe,, refrigerator tortellini's means they don't soak up as much broth (which would normally make your soup too thick), plus the cook in less than 10 minutes usually. 4) Canned Beans: Can't live without them! Whether I'm tossing one can drained and dumping into a diced kielbasa/ bacon and bean soup, taco soup, chili, white chili, it just goes on and on. I keep great northerns, pintos, black beans, kidney beans, chili seasoned beans all on hand in my pantry! Jan's Tip: If you are using beans and you want to thicken your soup, you can use 2 cans, one can to dump into the soup, and the other to puree and add as a thickener. 6) Quick Cooking Vegetables: Quick cooking Vegetables and short cuts is what we're talking about: (Both fresh and frozen) so for example, if it calls for cabbage, grab a package of shredded coleslaw mix, precut veggies such as carrots, butternut squash, onion peppers, Spinach, etc. 7) Flavor Boosters: To help recreate the taste of slow cooking, lets start with a few key ingredients to help you get there. They are worth keeping on hand. : I like to use: Balsamic Vinegar, Asian Fish Sauce, Plenty of good chicken, beef, and even ham soup base/boullion, any seasonings you like that adds depth of flavors to the recipes. 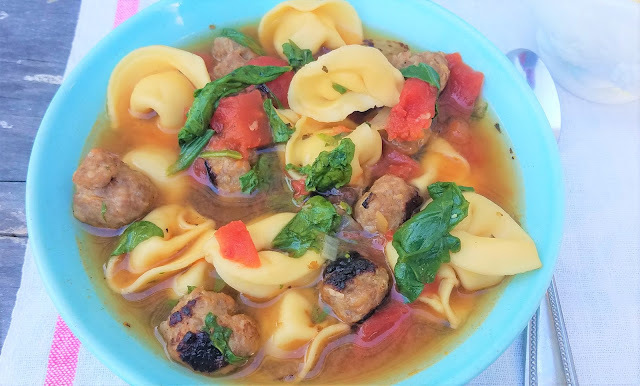 This Spinach and Tomato Tortellini Soup I got from my local newspaper, is a perfect example of a soup you can throw together in minutes from ingredients from your "soup pantry" of ingredients and feel warm and satisfied. I like to add little sausage meatballs (from the above list) to the recipe as well! Put a grilled cheese sandwich on the side and .. well... you have comfort right there! 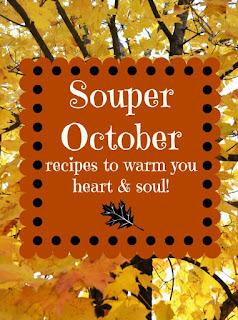 Great tips and definitely includes some items I've never thought about keeping stocked during the soup season!